Case 1: To set a percentage discount on a category if a customer buys 5 or more units from this category. To solve this case, navigate to WooCommerce > Dynamic Pricing > Category Rules. Here we have added a new option ‘Total Quantity’ in the ‘Check On’ drop-down field under the ‘Category Rules’ tab. Now the rule will check the total number of items purchased under a specific category. here we are setting max discount as $30 so that the user can not order in bulk. 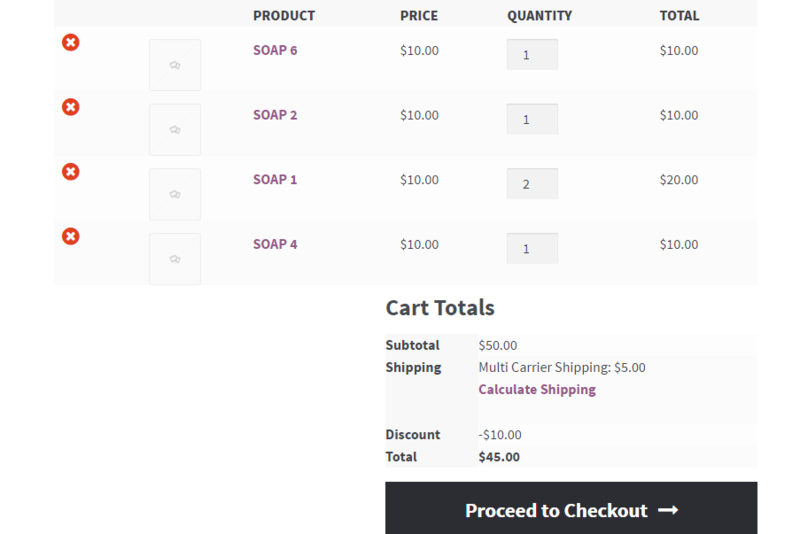 For example, a 20% discount should be charged for 5 or more soap bars in the cart. Assume there are 6 types of soaps inside the soap bar category – let’s call them Soap1, Soap2, Soap3, Soap4, Soap5, and Soap6 (all priced at $10). You want to set a discount of 20% for customers purchasing 5 or more soaps. Case 2: To set a percentage discount on a category if a customer buys 5 or more units of the same product. To solve this case, navigate to WooCommerce > Dynamic Pricing > Product Rules. 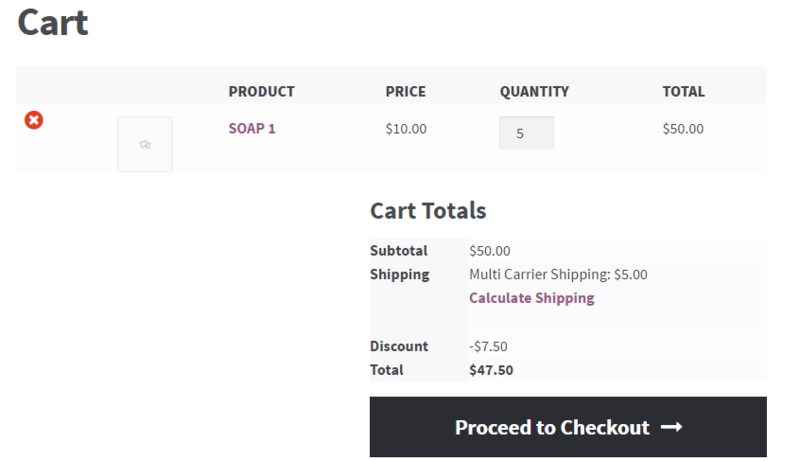 Example: 15% discount on ‘Soap Bar’ category, if 5 or more number of the same soap bar is in the cart. Customers purchasing any 5 or more units of the same soap (example: Soap1), should get 15% discount on these items.